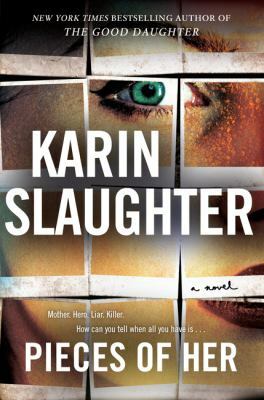 Karin Slaughter is one of my go-to authors. 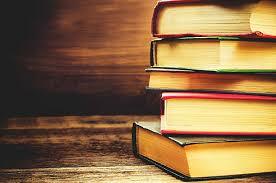 I have yet to run across a book of hers that I haven’t liked. Slaughter writes suspenseful mystery thrillers that leave you wondering about past lives, secrets kept, and relationships both broken and sustained throughout the years. I like my fiction a little bit dark and twisty. If I don’t figure out the whodunnit and why until almost the end, even better. For me, Slaughter writes successful fiction because I’m consistently surprised with the twist her fiction takes. Pieces of Her by Karin Slaughter is her newest book. I. Was. Blown. Away. This novel takes a close look at the relationships with parents and their children. While we may think we know our ancestry, this novel proves that these thoughts may be completely and totally wrong. There are so many different pieces to each person. (Play on the title, get it??) We also have different identities. One woman can be a mother, daughter, granddaughter, wife, etc, with each separate part of herself hiding something from the other. In Pieces of Her, Andrea discovers that she never really knew her mother, Laura at all. Even though she has a very close relationship with her mother, even living in her garage apartment, one day throws everything apart. Andrea knows that her mother has spent her entire life cloistered in their tiny beach town of BelleIsle. Her mother has no secrets, but is seen as a steadfast and trustworthy member of the community. With Laura’s life changed by a cancer diagnosis, Andrea moves back home and becomes enmeshed in her life. This cancer scare is a deviation from the norm, but Andrea knows her mother’s reactions are only a result of her cancer treatment. Heading to the mall one afternoon with her mother, Andrea soon sees a completely different side of Laura. The violent scene that erupts in front of Andrea shows her that her mother was a totally different person before her, more so than her simply not having a child. The intense media scrutiny and the police’s desire to find answers brings unwanted attention to Laura and she quickly shuts down. Laura changes in front of Andrea’s eyes, telling Andrea to run away from the whole situation with only slight clues of where to go. Laura refuses to speak to anyone, instead lying low and trying to protect her daughter by pushing her away. Andrea leaves town, following the tiny bit of clues her mother has left for her. Digging into her mother’s secrets, Andrea quickly discovers that if she can’t figure out the real truth of her mother’s past, there might not be a future for either of them. Reviewer’s note: Karin Slaughter is not shy when it comes to using graphic scenes, violence, and blood in her books. This book is no exception. If you’re squeamish, I would steer clear. In my opinion, this novel only benefits from her descriptions.